Fortune is favoring you if you’re going to drive this season! You might have seen that gas costs have gotten much lower in recent weeks, and industry specialists are predicting they will stay that way throughout the holiday season. The AAA analyzes these holiday issues on a national level and released a statement last week predicting that about 46 million people plan to travel this season. That’s up 4 percent over the 2013 holiday season. The take-home message, though, is that petroleum costs will be an average of 46 cents lower per gallon than last year. We haven’t seen the likes of it since 2009. You could even be able to spend more on other Christmas items, but experts say higher retail prices could offset any spending gains. 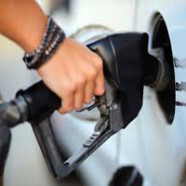 Nevertheless, you can still travel more on your fuel budget than you planned. If you’re on the roads for any amount of time, however, the staffers at Car Clinic in Virginia recommend getting a holiday driving auto checkup first. With more traveling, your likelihood of running into things such as icy weather and storms increases, making this particularly important.